Our team of experts are well-equipped and well trained. We understand that water damage, if left undealt with, equals lost revenue and lost productivity in your business and commercial structure. Hence, once we step in, we ensure that there is very minimal business disruption. We do our job effectively, immediately, and seamlessly. 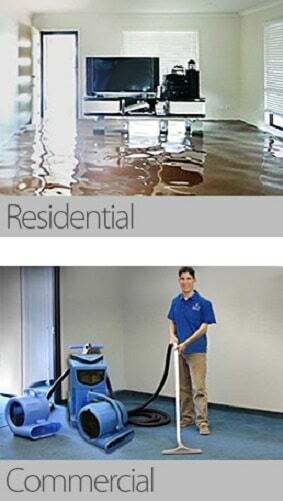 Water damage refers to any kind of loss caused by water, regardless if it is from a natural cause or not. Water damage is very unpredictable, and not to mention destructive. It could happen for numerous reasons. 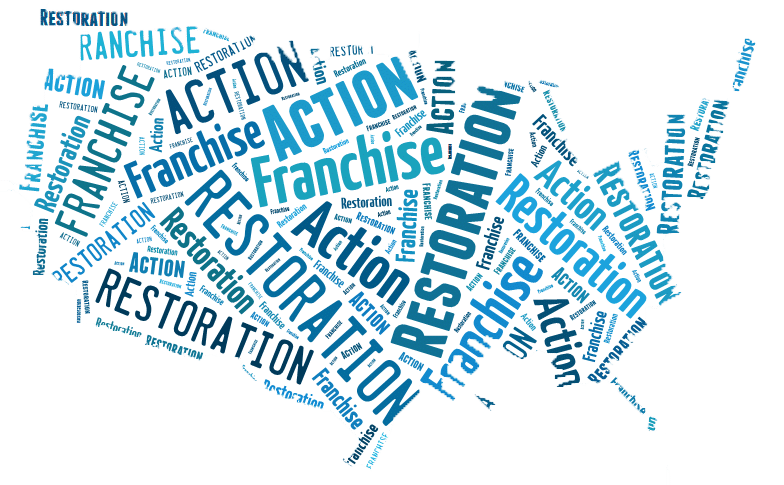 Whether it’s due to a structure failure, a plumbing leak, or destructive weather, if there’s water damage, we’ve got your back here at Action 1 Restoration! 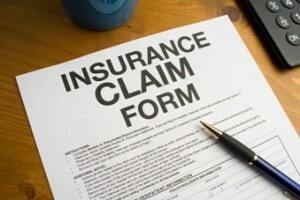 At Action 1 Restoration, our specialists understand your business needs. We know that every hour of waiting can hurt your revenue and productivity. Thus, our team is available to you 24/7. We use state-of-the-art equipment for efficient, immediate, and seamless services, because you are our priority! Removing water from all the nooks and crannies at your property is not a very pleasant task. Reaching low areas, deep cracks, and corners manually proves to be quite difficult, which is why you need professionals, like our specialists from Action 1 Restoration, to ensure that water removal at your commercial space is done properly. Having to clean up after a flood is tasking and even overwhelming. Your time is worth money, hence, isn’t it better if you can trust someone with proper training and equipment to finish the task for you while you continue to focus in your business? You can just trust us from action 1 restoration with your commercial clean ups! Drying out your property and equipment properly after a flood can be tricky. Furthermore, improper drying of property and equipment can impact business processes. Thus, there is really a need to have well-trained and well-equipped specialists accomplish commercial drying out for you. This can help your business to bounce back sooner than later. Why Choose Action 1 Restoration Team For Your Commercial Property! We understand how important it is to retrieve your business equipment and documents with as little damage as possible. Thus, we assure you that we have high-end equipment and well-trained professionals all available to serve you to ensure that your equipment and documents could be retrieved in exceptional quality. Here at Action 1 Restoration, your satisfaction is our trophy! We are ready to assist you 24 hours a day and we are experts when it comes to handling all kinds of water damage emergencies. Furthermore, we use state-of-the-art equipment to provide efficient outcomes. You are our priority, and getting your business up and running the soonest time possible following the flood is our number one goal. If you need help with commercial water damage, no need to fret! You can rely on our team of skilled and well-equipped experts! Flooding, may it be caused by plumbing leaks, structure failures, or storms, could really mess up a commercial property. Water could flow into unimaginable places and damage your property in unimaginable ways. Moreover, it’s difficult to protect important business equipment and documents from flooding. We, at Action 1 Restoration, will carefully assess the damage and carryout water removal, cleanup, dry out, and restoration to ensure that we can save as much business equipment and documents as we can. Whether you have a devastating water emergency or a small one, your happiness and satisfaction matters to us. Water damage can strike your commercial property without warning and at any time. So, if you see flooding, waste no time and get in touch with the best team of experts when it comes to commercial water removal. Removing water from low areas, deep cracks, and corners manually is not easy. You may try to do it yourself, but nothing beats the satisfaction of seeing a professionally completed task. With the use of high-end tools, our specialists can complete the water removal seamlessly for you. Furthermore, we will race against time to be with you the soonest time possible and to assist you in with your commercial water removal needs using all means possible. Cleaning up after a flood is not pleasant at all. Sometimes you’re just left dumbfounded by the humongous pile of tasks that you need to do just to be able to clean up after a flood. Nothing is worse than being unable to do anything to complete the task at hand. It’s not a one-man job, and it’s neither easy nor pleasant. Hence, if for whatever reason you find yourself stuck with cleaning the aftermath of a flood and you wish that there was a way to clean it up faster and easier, Action 1 Restoration team can help you out! We understand that time costs you money, and so we work against the clock in completing your commercial clean up the soonest time possible. Here at Action 1 Restoration, we do quality water clean ups because your happiness is our happiness. Our team of specialists will serve you and leave you with a commercial space that’s squeaky clean, all the while working with the smile. If not cleaned and dried properly, the concrete floor substrate will continue to deteriorate and chip. This scenario is not something that you want to happen to your commercial property and business environment. If you try to dry out your floors and equipment manually, you won’t be certain if you have dried all nooks and crannies properly, and this is risky for your business. Taking risks that can result to property damage and halting business hours is never a good option. Thus, you need well-trained specialists when it comes to drying out your property and equipment after a flood, regardless of what caused it. Our team at Action 1 Restoration use best-of-class tools to ensure that all nooks and crannies in your property and all your equipment are dried out properly. If you trust us in resolving the commercial water damage in your property, you can expect quality service from the assessment of damage up to carrying out the actual removal, cleanup, and dry out of your property, equipment, and documents.